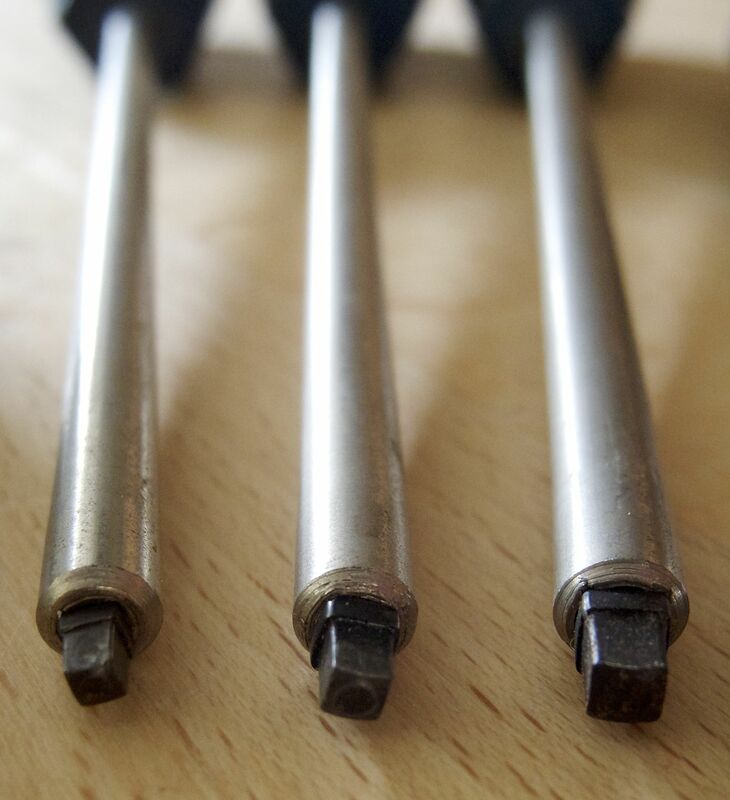 Canadians will be familiar with the Robertson Drive; it is common there, and deservedly so: the square bit carries torque better than slots and Phillips heads, and it’s almost impossible for the driver to fall off the screw. But an object lesson in how not to patent your invention saw the screw fail to be licensed outside of its home country, leaving the international market no choice but to settle on the inferior Phillips drive. Outside Canada the Robertson drive is hardly known at all. We have never seen Robertson screws or drivers at nearby hardware stores. 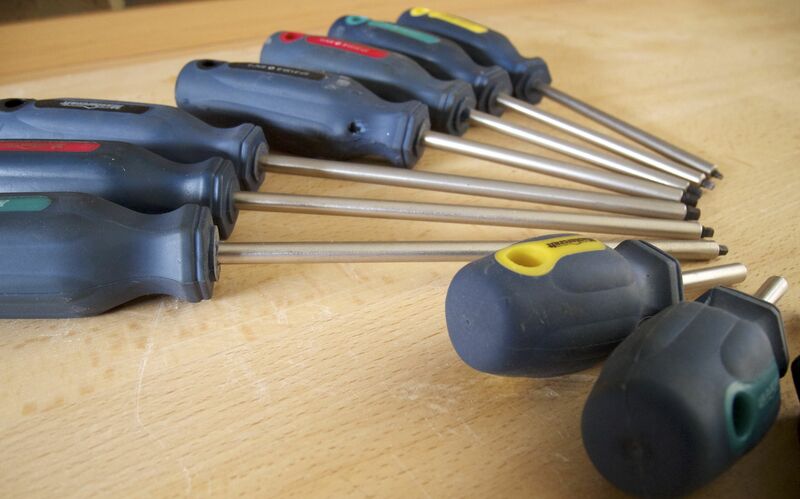 Fortunately Ice Moon Prison’s set of Robertson screwdrivers are not entirely useless. We also inherited a small quantity of matching screws. Like an antique firearm with ammunition no longer being manufactured, or a Polaroid camera with its increasingly rare supply of film, we will have to ration these screws and save them for the most appropriate situations. 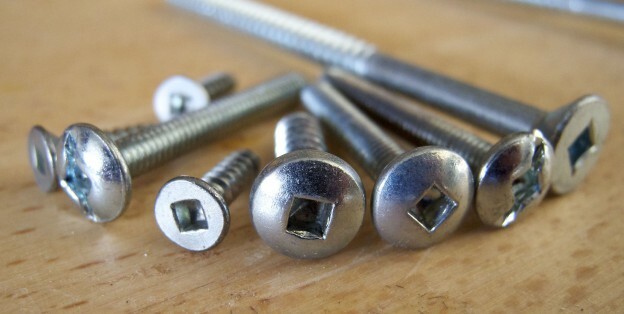 We are thinking that, given we are outside Canada, they are as good as tamper-proof screws. Better, actually, because we have never seen a Robertson bit in one of those special-screw-head sets. The irony of tamper-proofing with a screw as common (just not here) as the Robertson is delicious.